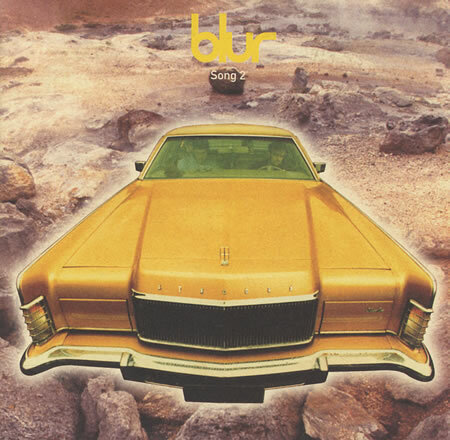 So, I was prescient and tuned-in enough in early 1997 to know a key track when I heard it – and I think my phonetic expression of Damon Albarn’s abandoned exclamation (“Wee-hoo”) is close enough – but you’ll have spotted that I was not wily enough to identify Song 2 as Blur’s biggest hit. We didn’t know the lyrics then, either. We do now. The Blur album was a wiping of the Etch-A-Sketch, a bonfire of Britpop’s vanities, a rethink, not to mention a bound manifesto which echoed New Labour’s that year, except in terms of crowd-pleasing. Which is why Song 2 is so glorious. Yes, it foregrounds Graham Coxon’s guitar technique, something he told me as far back as 1994 he was studiously “unlearning”, and replaces the ironic bounce of Country House with something more abrasive and headbanging (“When I feel heavy metal“), and no it doesn’t make an awful lot of sense in broad daylight (“I got my head done, when I was young”), but it’s two minutes and one second of maximum joy. You’re invited to think: there was no Song 1. I go back nearly all the way with Blur, and considered them acquaintances at the height of pre-Britpop when Camden was Mecca and my hair was way too long for the scene. I gave Leisure a lukewarm review in the NME and Damon Albarn was still quoting it back at me a decade in pop later. The great coming-together for me and Blur came when Parklife had lift-off and Q, where I’d just touched down, needed these new cover stars explaining. It was my mission and I chose to accept it, sitting down with all four of them and getting their life stories down in definitive fashion, and stowing away at the media-blackout gig they played for their old music teacher at Colchester Sixth Form College with a 17-piece school orchestra. A year later, I sent myself to Paris to present them with their first Q Award. I saw them live a lot, each time a bigger venue, in clubs, in festival tents, on festival stages, at palaces, arenas and stadiums. I watched Damon cry on the Pyramid at Glastonbury ’09. Oddly, I never think of Blur as one of my favourite bands, but they must be. 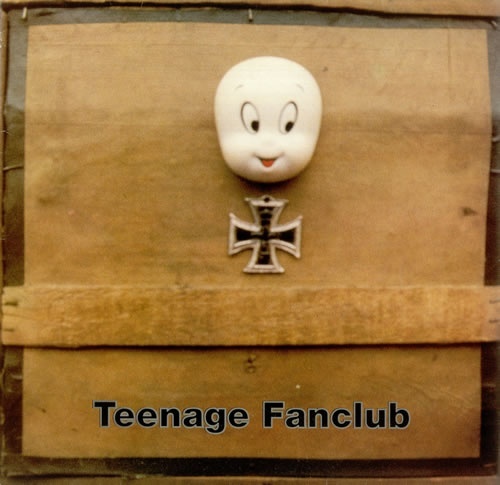 You might think my long and varied relationship with them as fan and journalist would sift out something a bit more subtle, surprising or obscure from their vast back catalogue of experimental pop than Song 2, the one that broke them in a recalcitrant America and became ubiquitous on videogame and TV episode alike and still resounds around stadia when any number of US sports teams score a home run or touchdown. But no matter which gaudy, commercial, plastic-cup context it finds itself played in, it still sounds like a giant, cosmic safety valve, from which hisses and squeals all of a four-piece band’s pent-up emotion up to that point. Overuse cannot destroy it. 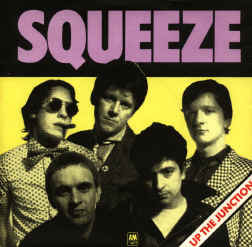 Alex’s bass complains like a toothache, Dave’s drums typically stick-shift between nimble and knuckleheaded, Graham’s lo-fi guitar lets magic in upon light and Damon just Janovs his way out of there, tired of big words. Imagine if Song 2 was the only remaining trace of Blur after some terrible cataclysm. Archaeologists would get the picture. In 1985, Billy Bragg supported The Smiths on their first US tour. He told me when I was writing his biography that he’d had a “long conversation” with Morrissey on the tour bus about a subject that proved fertile common ground, the wonder of New Jersey girl group the Shirelles. Although Billy confessed he’d always mistakenly referred to them as The Shirlettes, having misread a sleeve. I sort of prefer it. Burt Bacharach was already a hitmaker in 1961 when he, regular partner Hal David’s brother Mack and the equally prolific Luther Dixon (who also produced) came up with Baby It’s You. The Beatles covered it on Please Please Me, and used the same arrangement, but let’s not pretend it holds a flame to the Shirelles’ original, which oozes heartache and all-the-girls-love-a-cad inevitability. The backing is sublime, a potent cocktail of overstatement and understatement: the tambourine sounds like it’s the size of a dinner tray, while the backing “sha-la-la-la-la”s might be made of marshmallow, and the beat played with swizzle sticks. This is no wall of sound, more like a trellis, but what blossomy delights hang thereon. The addition of male backing singers hardens the sound once the intro has lured us in with its swooning incense, but Shirley Owens’ deftly modulated and surgically emotive lead vocal brings sweetness and light to this tale of manifest female destiny written by guys. “It’s not the way you smile that touched my heart,” she confirms. “It’s not the way you kiss that tears me apart.” Either way, she is torn apart. “Uh-ho oh-ho,” she quivers, before letting us know that “many, many, many nights” roll by while she sits, typically, alone at home and cries over this bounder. “What can I do?” NB: not what can I do, but what can I do. Then the mood darkens. “You should hear what they say about you,” she trills, while her sisters intone, not that subliminally, “Cheat, cheat.” He’s not worth it, this guy. They say he’s “never, never, never been true,” and yet Shirlette is gonna love him any old way, despite what “they say.” (Cheat, cheat.) Begging ought not be her business, but beg she does: “Don’t leave me alone, please come home.” Baby, it’s him. 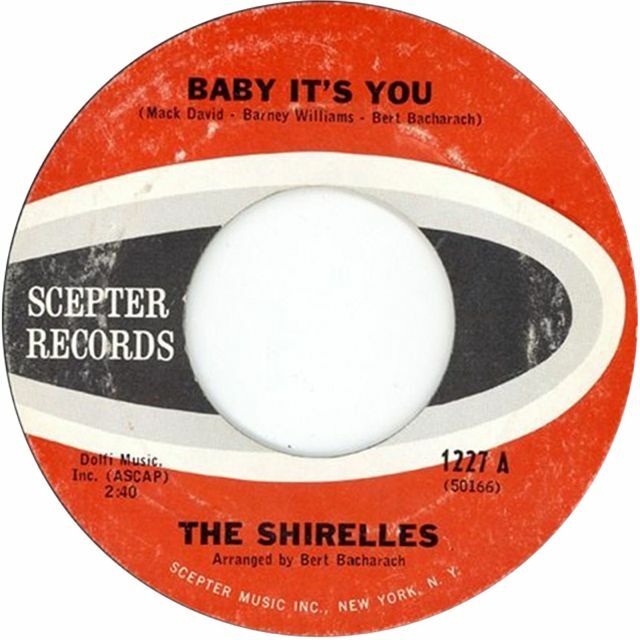 The singing is so affecting and true, the music appears not to have much to add, but Dixon’s arrangement pulls back at just the right moments, dropping out completely before “’Cause baby, it’s you” for maximum melodrama, and placing the “cheat, cheat” aside just far back enough in the mix to make it sound like the other Shirelles are talking behind Shirley’s back. I take issue with the organ break at one minute 40, so shrill and intrusive it threatens to blow a hole in the atmosphere, but if anything it makes Shirley’s return to the mic all the more of a relief. It fades, as all 60s songs fade, but not until she’s implored, “Come on home.” I realise I have a soft spot the size of a dinner tray for music of this stripe and timbre from this golden age, but what can I do? Guy, Craig, Mark, Pete, Jupp: the five of them had been a band since 1990 when four of them were 16, one of them 14, and Elbow by name since 1997. By 2001, when their debut album was released, they’d already recorded another one, for Island, which had been canned when the band were dropped, although half a dozen of its songs were re-recorded for Asleep In The Back. This long-player was, then, a long time coming. Perhaps that’s why it’s so solid, so thought-through, so cohesive, and why the band sound like they’ve been playing together for ten years. They had me at the opening track. In fact, they had me at Craig’s opening church chord on the opening track. 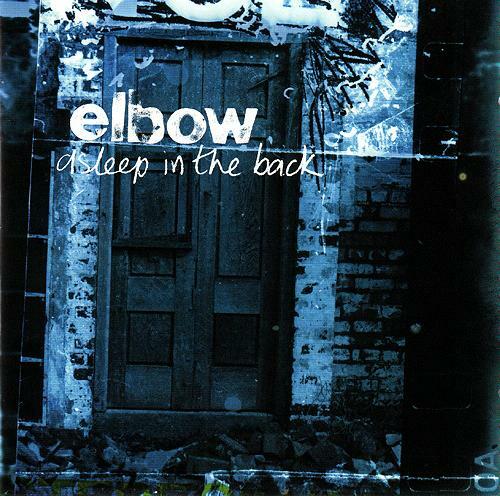 Once drummer Richard Jupp and bassist Pete Turner unite for that unsettling riff of spellbinding rimshot and seismic grumble, I’m Elbow’s for the taking, and Guy hasn’t even started cooing like a choirboy yet. Any Day Now is among my favourite Track 1, Side 1’s of all time. It set out a stall that I wanted to browse, and for all of Elbow’s achievements artistic, commercial and headlining in the glory years since, it’s the supplier I return to when in need of a restock. First tracks of first albums often sounds like something a band have been building up to and rehearsing for all of their lives, but rarely do they sound as boldly understated, as casually assured and as sparingly worded as Any Day Now, and rarely are they six minutes in length. (That’s more a last track, isn’t it?) If it is a manifesto at all, it is equally a stab in the dark. And dark it was at the beginning of this benighted century, when the world was in turmoil and British music was hanging on for dear life. Elbow, who’d planned to emerge in the previous millennium but were thwarted from doing so, sound ready to save the world, or at least anyone who had a heart. I can, and while Asleep In The Back is – with the benefit of hindsight – markedly more Gothic than its successors and pre-anthemic, it was not willfully difficult or awkward (except perhaps Bitten By The Tailfly, their taproom Tom Waits wonk-out). It’s distinctly lovely, in fact. Spooky, dusky, melancholy and regally slow for the most part (got a lot of spare time), with Garvey’s voice sealed in the amber of echo; as much piano- as guitar-led, and swathed in Northern English ennui, it it unafraid of tipping the five-minute mark. And it begins with Any Day Now. He was wrong when he called for one day like this a year to see him right. One day is not enough. With Elbow’s back catalogue, you get a whole calender. Starting with a church chord. Though I’m a lot rock’n’roll, I can’t really even claim to be a little bit country. I’ve watched Nashville, both the classic 70s movie about the hub they call Music City, and the current, campy TV series, and I’ve long appreciated the Country & Western influence on much of the American rock of the 1960s that I hold dear. I have albums by Gram Parsons, the Flying Burrito Brothers and the Byrds that make perfect, bootlace-tie sense to my ears, I actually enshrined a song from Dylan’s Nashville Skyline into The 143, and if there is a lovelier, more plangent sound than a pedal steel, I’d like to hear it. But Patsy Cline is a different order of “meat and three”. The first female artist to be inducted into the Country Music Hall Of Fame (in 1973; it only took them ten years after her untimely death at 30), Cline’s reputation and appeal travelled way beyond the parameters of her chosen genre and subculture. The longer-lived Dolly and Tammy self-evidently had longer careers, but it seems me – as a non-expert – that she towers over them all from beyond the grave. Beset by bad fortune like any self-respecting country singer, Cline’s life was not the self-destructive tragedy of near-contemporary Hank Williams, and she was enjoying all the fruits of success when her plane crashed in a Tennessee forest in 1963. Crazy is hardly an obscurantist choice from Cline’s crossover repertoire, but for me, it shines brightest and interferes with my heart in a way that I might not expect from a genre whose mawkishness can be a barrier to my full immersion. Written by a then-unknown, clean-cut Willie Nelson, who recorded it himself a year later on his debut LP, it’s a unisex lament to the inevitability of a split-up. Fatalistic, as many classic love songs tend to be, for maximum yearnitude. The protagonist – female in Cline’s impeccable reading – declares herself crazy for feeling so lonely and for feeling so blue, as she knew her partner would love her as long as he wanted, and then “someday”, leave her “for somebody new.” If she did know this, why did she go with him in the first place? Well, if you need that question answering, you have never been in love. Cline has. She’s “crazy for tryin’, and crazy for cryin’,” and “crazy, for lovin’ you.” The way she lets us in on this apres-relationship confession in that husky voice that is apparently a contralto (ie. low for a lady), almost makes her sound as if the loss and the inevitability are part of the experience. Better to have loved and lost, than to have loved and lost and not seen it coming. 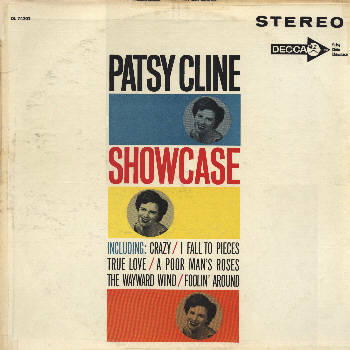 A polite piano intro, augmented by the lazily ascending twang of a guitar, give the song a trilling, balmy porch setting, the better to stage Cline’s wistful but self-lacerating dissection, swept along by the brushes of whichever of the two drummers played on the parent Showcase album. It’s an idyllic backdrop to a gloomy conclusion about the fallibility of the heart. The velvety baritone backing of none other than Elvis’s partly-ordained Jordanaires gives such depth to the arrangement (they were still indentured to the King in 1961 but would later be too busy to join him in Vegas and handed over to the Imperials), but it’s Cline’s rich account that cuts through, the ends of each line quivering into the trees on the wind. In “crazy for feeling so blue,” it’s the word “feeling” that she hammers home: crazy for feeling so blue, the “blue” note held for longer than you might think feasible. Each word Cline chooses to emphasise seems perfectly selected. It’s as if she had the ability to italicise with her tonsils, as she went along. I also love her more upbeat, clip-clop 1963 rendition of the Bob Montgomery-quilled Back In Baby’s Arms (introduced into the gumbo of Trent Reznor’s Natural Born Killers soundtrack with creditable plurality), but the career-defining ballad wins by a nose. I suspect if she’d lived, the KLF would have had her on a record in the 90s; as it is, airborne catastrophe immortalises her as a kind of guardian angel in perpetuity. Not even a hit in the UK, Crazy found me somehow, somewhere along the long, lonesome line. There. I hope I sound like the country expert I’m not.